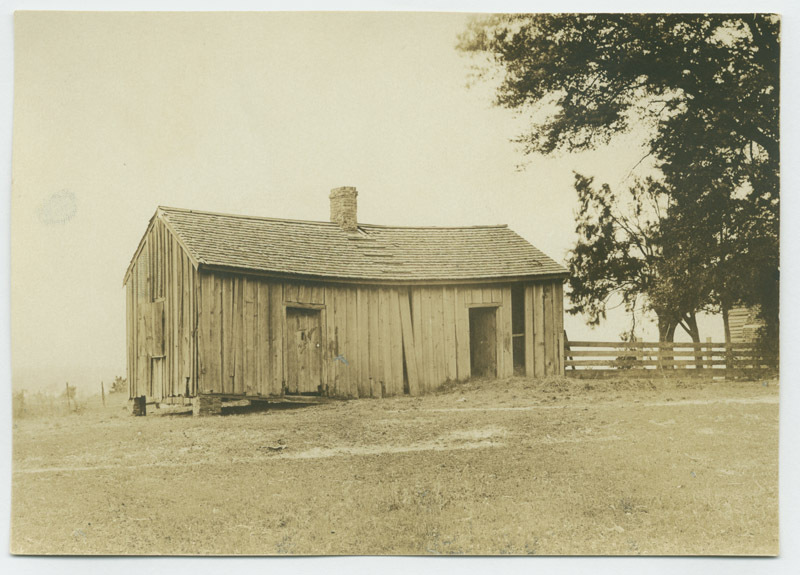 A dilapidated wood cabin, identified as the building Booker T. Washington started his school. A wooden fence and some trees are on the right. Caption on back: "The cabin in which Booker Washington started his school." Johnson, Clifton, 1865-1940, “First building used by Tuskegee Institute,” Digital Amherst, accessed April 24, 2019, http://digitalamherst.org/items/show/1229.